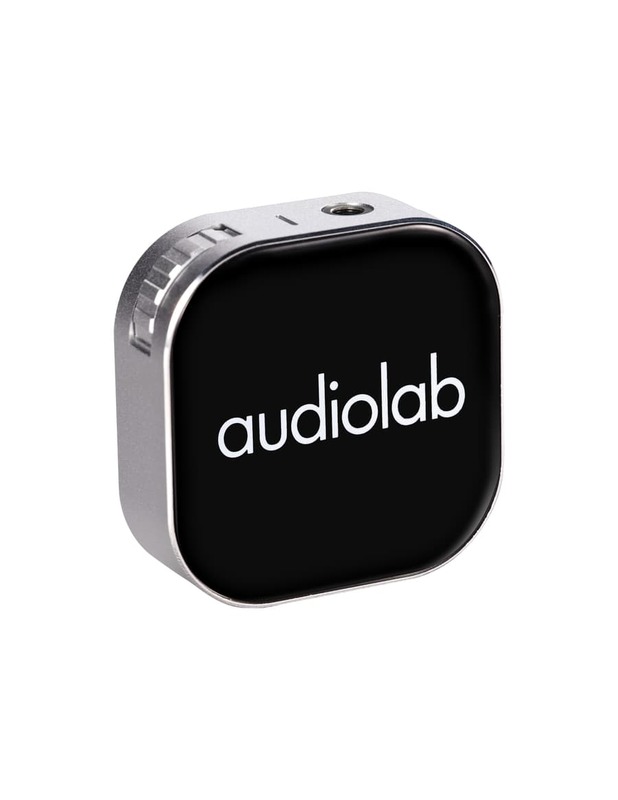 The latest addition to Audiolab’s M-DAC range is the M-DAC Nano, a mobile DAC/headphone amplifier. Ever since the launch of the original M-DAC from Audiolab in 2011, the Cambridgeshire-based company has been giving a ‘sonic boost’ to all manner of digital devices – smartphones, tablets, PCs, Macs and more. The latest addition to the M-DAC range continues this tradition, but does so in the company’s smallest, most affordable and most mobile form yet. Similar in size to a small matchbox, the M-DAC Nano is a simple way to transform headphone sound quality when you’re on the go. It connects wirelessly to Android phones, iPhones, tablets and more via Bluetooth, untethering the listener’s headphones from the playback device. And that’s not the only thing that’s wireless. The M-DAC Nano’s built-in battery supports Qi wireless charging – simply pop it on the supplied charging pad to deliver up to eight hours of playing time. Hi-res 32-bit/384kHz-capable DAC technology lies at its heart, with upsampling of data received over Bluetooth to enhance sound quality. The integrated Bluetooth v4.2 receiver supports the aptX and AAC codecs, in addition to Bluetooth’s standard SBC format. All this advanced digital processing is coupled to Class H analogue amplification, with auto-sensing to adapt the output to suit the load. A choice of ‘standard’ and ‘enhanced’ audio modes is available – the former offers extended battery life while the latter optimises sound quality. A press of the ‘function’ button (labelled ‘f’) engages enhanced mode. Volume is adjusted using a side-mounted, 64-step rotary control; this also has a ‘press’ function, which can be used to pause content and skip forward or back. A built-in MEMS microphone enables hands-free calls when paired with a smartphone and may also be used to engage Siri or Google Assistant on iOS or Android devices respectively. Other features include auto-pause when headphones are disconnected and auto-power-off to conserve battery charge after 10 minutes of inactivity. Measuring 44x44x14mm and weighing just 28g, the M-DAC Nano is easy to slip into a pocket, while the playback device it’s paired with may be stashed up to 10m away. It also comes with a protective faux leather pouch, with a clip to attach to a shirt, belt or bag, whilst keeping the controls accessible. The M-DAC Nano mobile DAC/headphone amp is available from late October at an RRP of £149.